Commissioned by a couple as gifts for the ladies in their family. 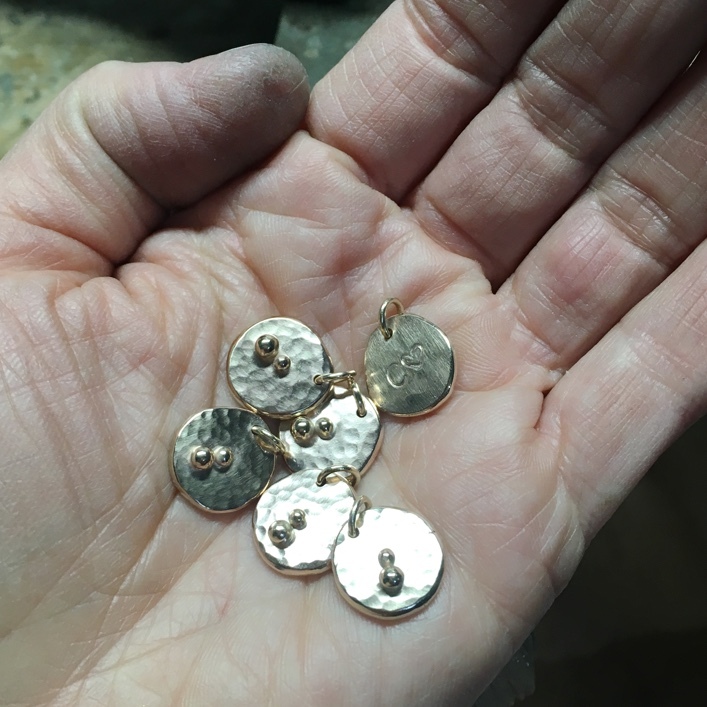 Six chunky Pieces of Eight charms made from their old gold. 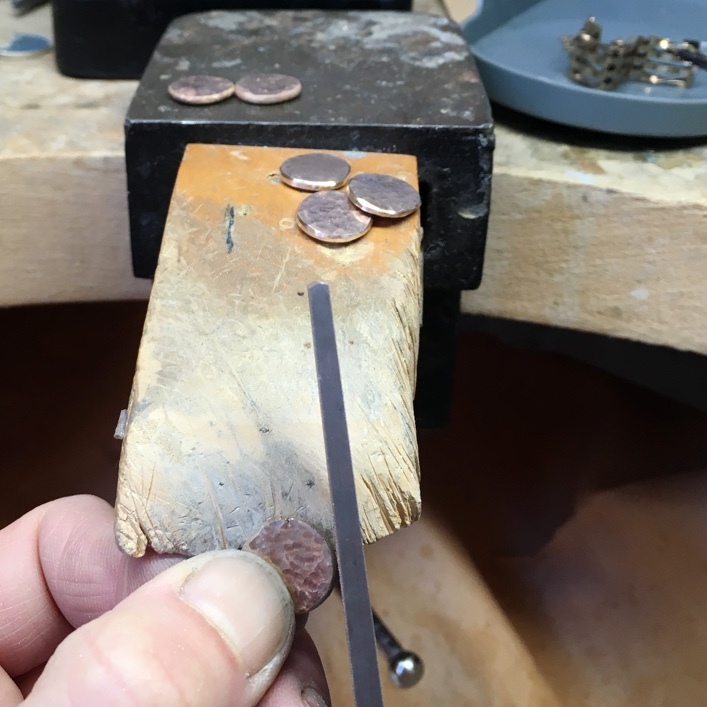 They wanted the Pieces of Eight to be decorated with a heavy dot hammer texture, finished with two giant granulation beads. Each pieces is stamped with an initial and a heart on the revere. 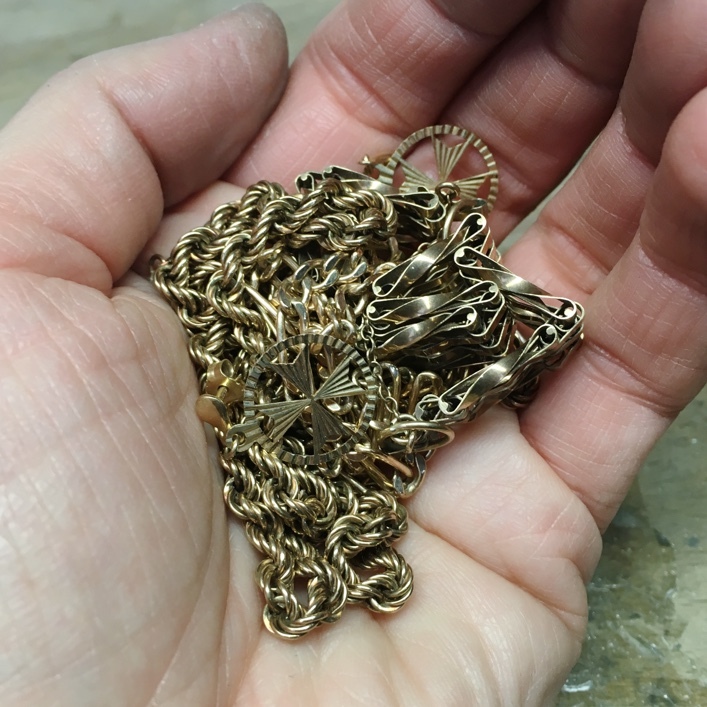 Filing each charm into shape. 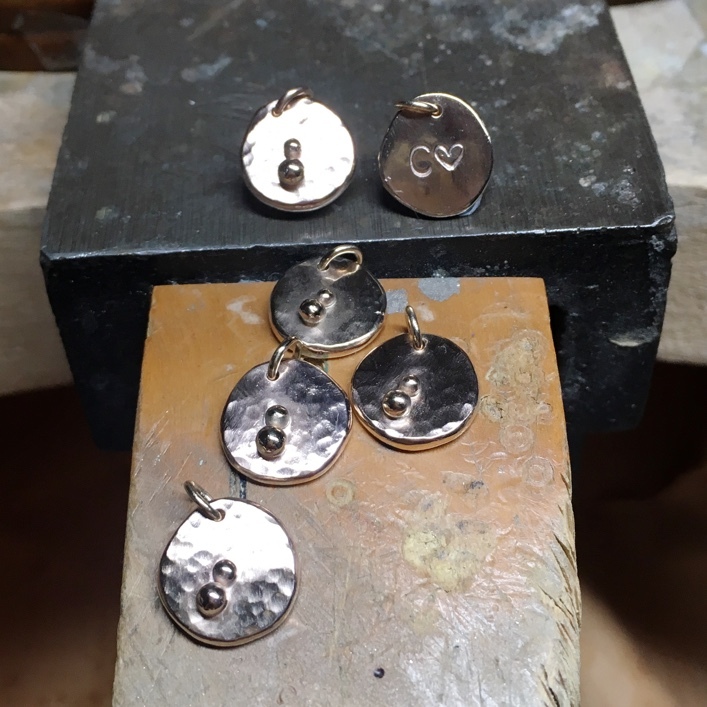 Each charm is marked with two granulation beads on the front and their initial with a small heart on the back. Price guide, from £ per piece (for more information about our price guide, visit How to do Bespoke).